This track is an example of simulated data modeled for the CMS detector on the Large Hadron Collider (LHC) at CERN. 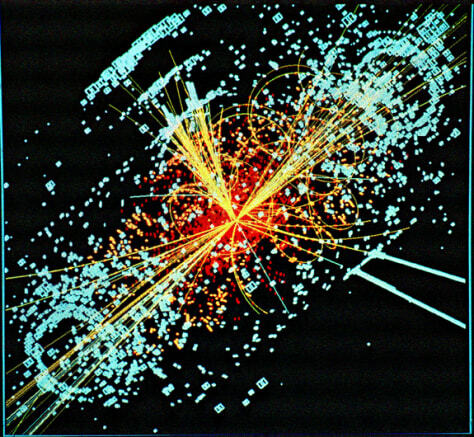 Here a Higgs boson is produced and then decays into two jets of hadrons and two electrons. The lines represent the possible paths of particles produced by the proton-proton collision in the detector while the energy these particles deposit is shown in blue.